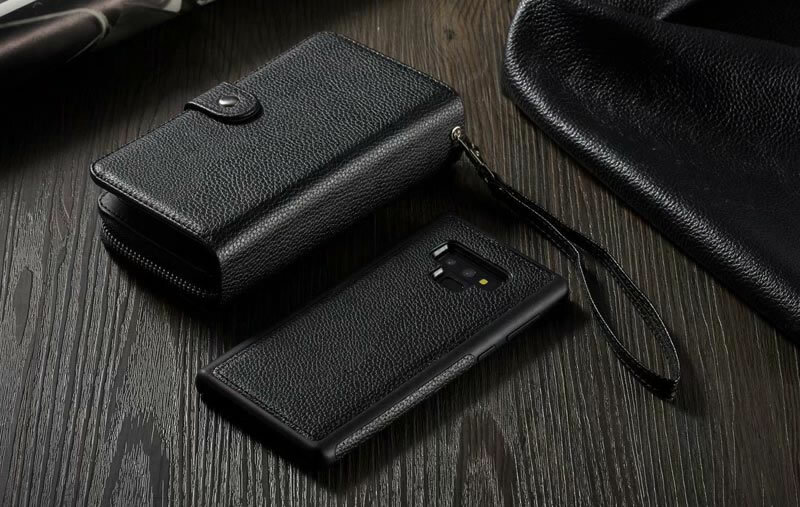 Free Shipping, Buy BRG Samsung Galaxy Note 9 Magnetic Detachable 2 in 1 Litchi Texture Leather Zipper Wallet Case at Casemecase.com. 4) Covers all four corners of your Phone to prevent screen scratches. 5) Precise cuts allowing easy access to all buttons, ports and features. 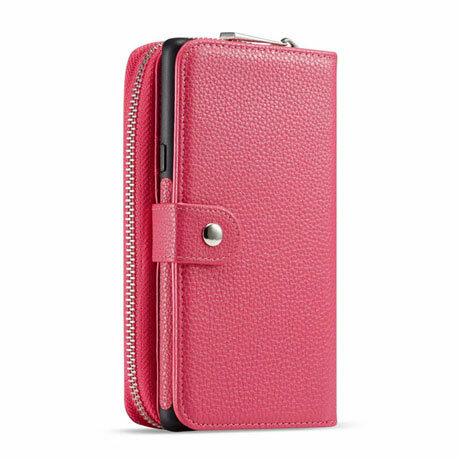 3 card slots,1 zipper bag – There are three compartments inside the zipper bag. 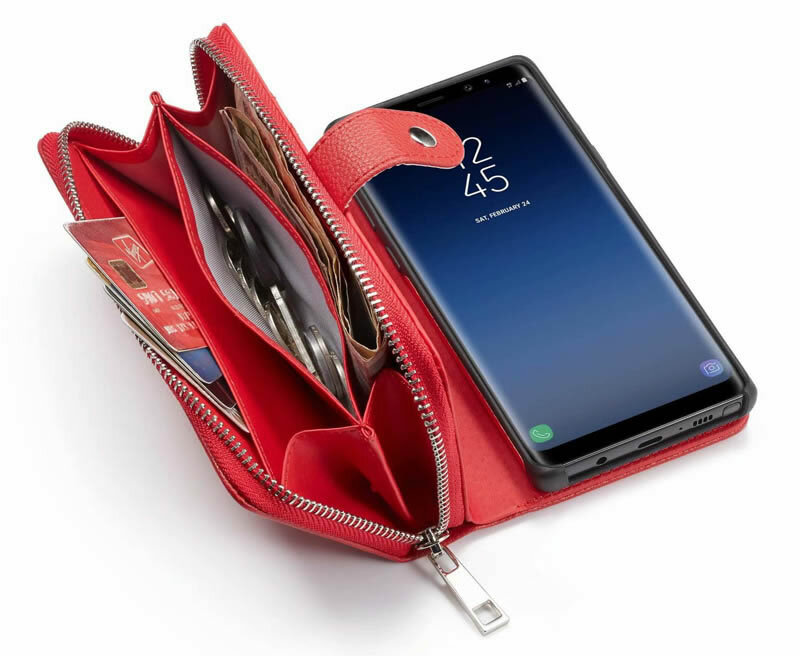 Purse you can use your personal items – home / car keys, cosmetics, small jewels, cell phone charging lines, headphones, change and so on. 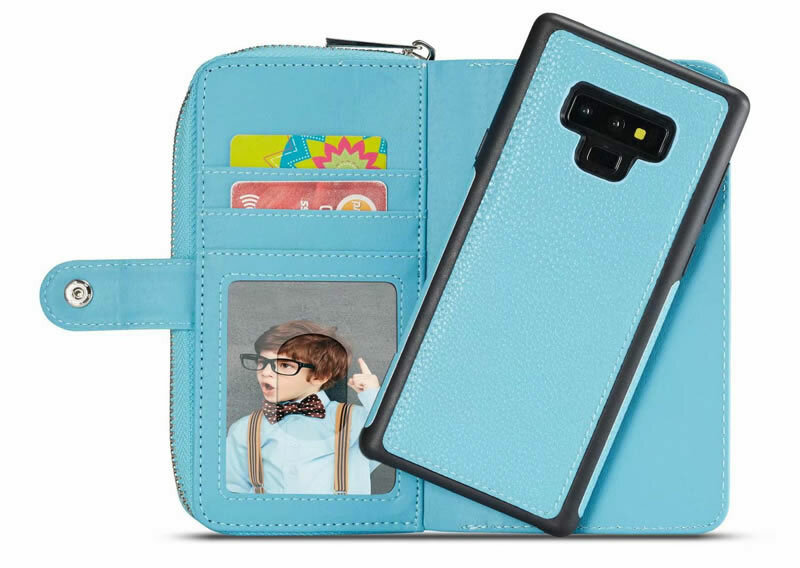 The phone case can also be separated from the zipper wallet. This innovative and durable design is also ideal for those looking for extra convenience. 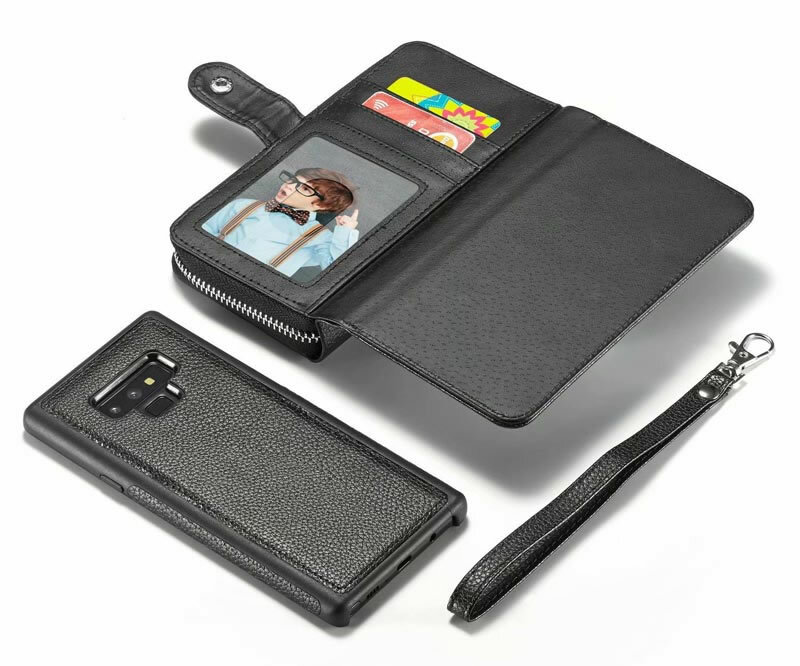 The wallet is made of soft, durable colored leather, and the phone case is made of PC. 100% hand-made and reinforced stitches provide full frame durability and shock absorption protection. The phone case button is closed. 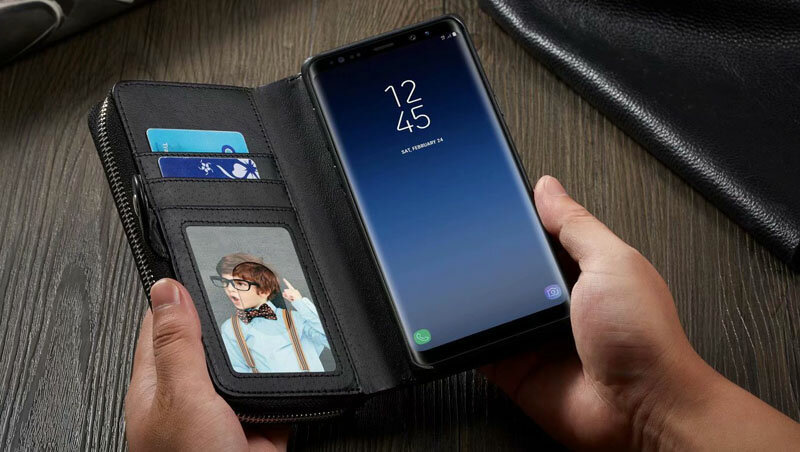 You can protect your phone. The high-quality zipper will protect your wallet. It allows you to store your card and cash safely. It provides 360° protection when you go out.